They are assigned to track down the radioactive celsium components of a destructive bomb that can kill entire populations and ignite a world war. Li Noor (Indonesian actor Iko Uwais of hit actioners “The Raid: Redemption” and “Raid 2”) can help them detonate it as he knows all the bomb’s code in an encrypted computer drive. He can provide the password but, in return, he is asking for political asylym in the U.S. They agree to help him get out of the fictionalized country where he’s detained (the film was actually shot on location in Colombia), but they have to race against time. The plane that can take him out of the country can manage to stay on the airstrip for only ten minutes. mission will fail and this can lead to a catastrophe of world wide proportions. Of course, they will encounter a lot of opposition along the way and it’s like running the gauntlet as a lot of bad people want to kill Iko and prevent him from getting on the plane. 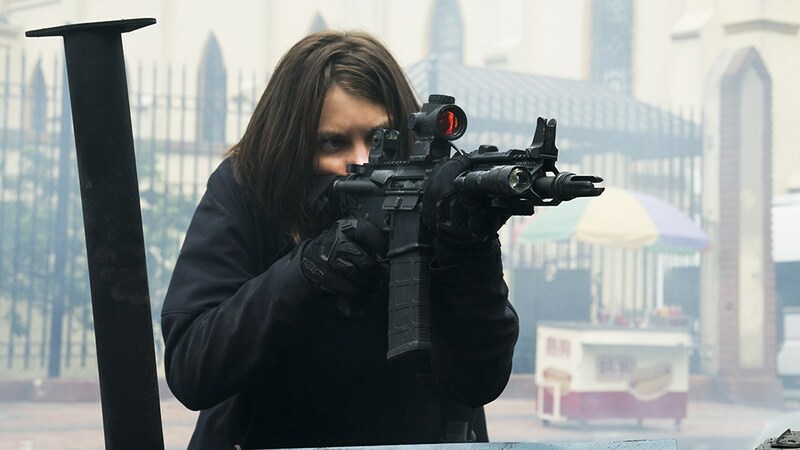 The members of Overwatch include Lauren Cohan as Alice, Ronda Rousey as Sam and John Malkovich as their eye in the sky who mans the control booth in their headquarters. 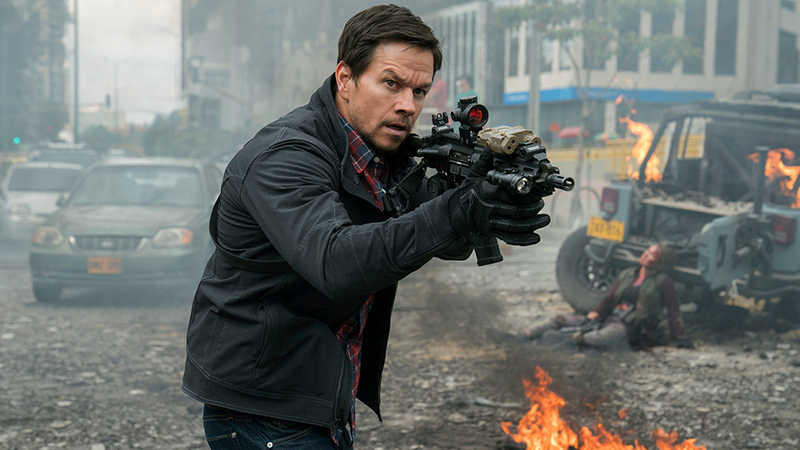 What’s nice about “Mile 22” is that it runs for only one and a half hours, unlike other such flicks that runs for more than two hours and get bogged down by lengthy expositions. This one is a lean and mean wall-to-wall combination of adrenaline and testosteron-fueled scenes that are all amazingly well choreographed, just like “The Raid” movies. 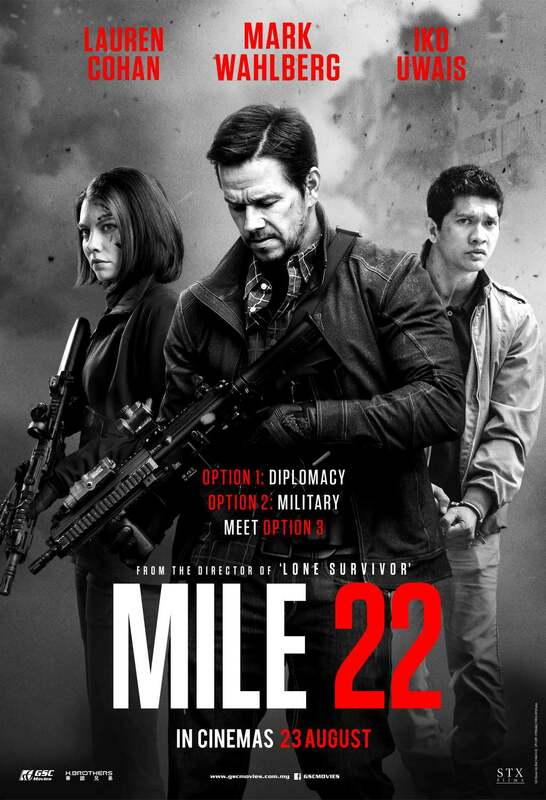 This is a real good international break for Indonesian actor Iko Uwais. And he gets to display his martial arts expertise in an inventively staged fight scene inside a laboratory where he has to protect himself from some merciless assasins while both his hands are handcuffed. 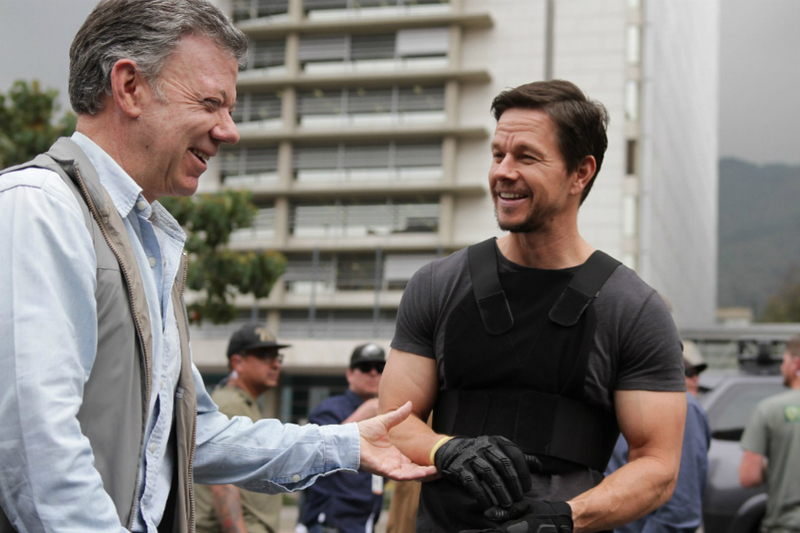 Mark Wahlberg is there to provide a more familiar Hollywood face as a come on for international viewers. He fights like he’s immortal as the team leader and it’s some of his team members who have to sacrifice their lives along the way to insure Uwais’ safety. This violent, escapist action flick is directed by Peter Berg, who has previously directed Mark in the Afghanistan war drama “Lone Survivor”, the oil rig disasster movie “Deepwater Horizon” and the film on the Boston Marathon bombing “Patriots Day”, all based on true stories. 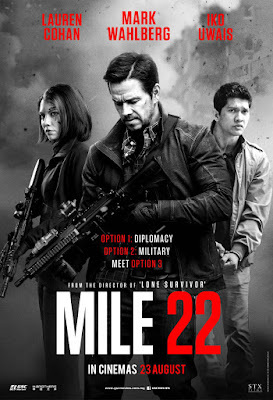 The movie’s simple premise, which is to deliver their package (Iko Uwais) from one location to another, lets Berg to concentrate mainly on the action sequences and in building up the suspense, which he does very well. 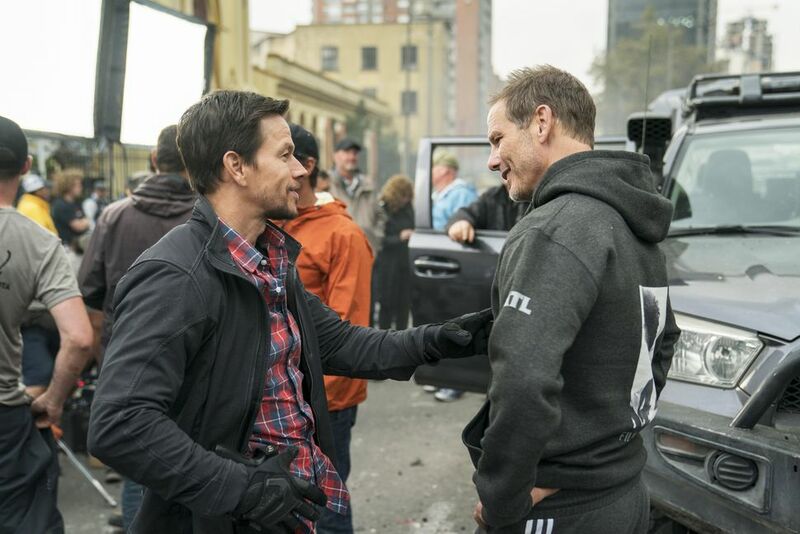 And he’s very successful in this department as he comes up with a slick and relentlessly paced thriller that offers exciting car chases, gun battles and mano-a-mano fight scenes spiced up with much machismo and brutal mayhem for those who love action with violence. There’s also a twist in the story as there are other forces in play to topple Overwatch. The motives of these shadowy forces are not revealed until the end and leaves an ending that is somewhat ambiguous. They’re possibly thinking of coming up with a sequel.